It Has Been a Half Century Since the War on Poverty. Have We Made Progress? Launching the War on Poverty in his inaugural address, President Lyndon B. Johnson spoke of replacing despair among the very poor with hope, especially among people of color. “It will not be a short or easy struggle, no single weapon or strategy will suffice, but we shall not rest until that war is won. The richest nation on Earth can afford to win it. We cannot afford to lose it,” he proclaimed. How far have we come in the 50 years since President Johnson made that urgent appeal? With one in five children living in poverty and one in ten in extreme poverty, “the United States is still not a fair playing field for millions of children afflicted by preventable poverty, homelessness, sickness, poor education, and violence….” Most disturbing is that children are the most affected by poverty; the younger the child, the higher the rate of poverty. 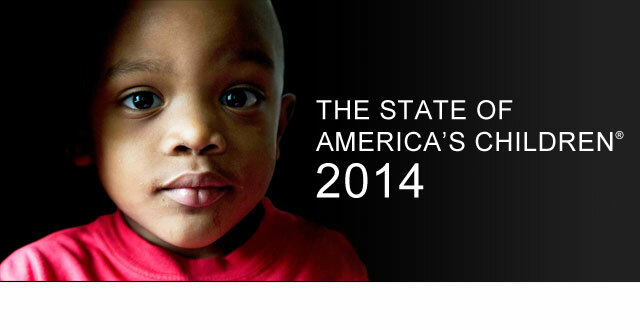 African American and Latino children suffer disproportionately. 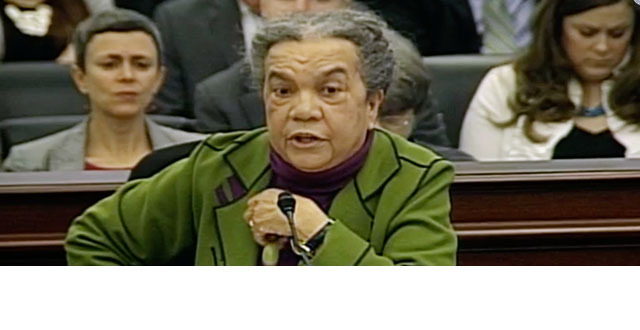 Continues Ms. Edelman, the greatest threat to our society, our well-being, our security comes not from a foreign enemy, but “from our failure, unique among high-income nations, to invest adequately and fairly in the health, education, and sound development of our young.” In addition to lack of health care and poor nutrition, inadequate education and the extremely high rate of incarceration prevent young people, most of them of color, from finding work or being able to enlist in the military. “If America is to lead in the 21st century, we must reset our economic and moral compass,” she adds. For the first time, the majority of children under two – the time of the most rapid brain development – are children of color. Child poverty has reached record levels: nearly one in three children of color and one in three children under five were poor. Some 1.2 million public-school children were homeless, a jump of 73 percent since the beginning of the recession. With no or extremely limited cash, these children and their families had to rely on the meager rations of the Supplemental Nutrition Assistance Program (SNAP), and that is being treated with budget cuts. Government safety net programs, such as SNAP, the Earned Income Tax Credit, and the Child Tax Credit, work. They prevented 9 million children from falling into poverty. Since 1964, the top 1 percent of earners took in more than double their share of the nation’s income. One can only guess about the top one-tenth of one percent highest incomes. Lack of investment in programs such as Head Start meant that programs such as this served only 41 percent of needy children. Drop-out rates continue to climb for children of all ethnic groups. Children are increasingly prone to all kinds of violence: a child is abused or neglected every 47 seconds. Over 101,000 children are in foster care. On average, 4,028 children are arrested every day. More children have been killed by gunfire than have police officers in the line of duty. The mere monetary costs of poverty to society are staggering: child poverty costs the nation some $500 billion a year in extra education, criminal justice, and lost productivity; child abuse and neglect cost the nation nearly 80.3 billion a year in lost productivity and other costs; gun deaths and injuries account for over 174 billion in medical and social costs, and high drop-out rages account for $154 billion in lost income. These costs, the report claims, are entirely preventable. The income gap between the very wealthy and the poor has widened and includes many families of the working poor. Infant mortality is down but still remains the highest in the U.S. among industrialized nations, especially among people of color. Gun deaths have increased markedly and disproportionately among Black youth and teens. The next section of the report breaks down “moments in America for children” for all children and by race and ethnicity in the following areas: suspension from public school, high-school drop outs, children arrested, babies born to a teen or an unwed mother, public school students enduring corporal punishment, children confirmed abused or neglected, babies born into poverty and extreme poverty, babies born without health insurance, babies born at low birth weight, children arrested for drug offenses, children arrested for violent offenses, babies dying before their first birthday, children and teens dying in accidents and by suicide, and mothers dying from complications of childbirth or pregnancy. When one looks at the shocking numbers, one must keep in mind that they reflect the population of the wealthiest nation in the world. The report cites the statistics in child poverty. Thanks to the Earned Income Tax Credit, 5.3 million children were lifted out of poverty. As Ms. Edelman said in her introduction, although the numbers are staggering, these costs were all preventable; likewise, with sufficient investment, such costs could be preventable in the future. In family structure and income, Black, Latino, and Native American children were in a family situation that greatly affected family income; homelessness is prevalent among the very poor, with steady increases every year from 2006. And one in nine children lives in “food-insecure” conditions. SNAP was instrumental in preventing this figure becoming much higher (as were subsidized school lunches). Medicaid and the Children’s Health Insurance Program have meant that many children have gained health coverage, though the programs have yet to reach 69 percent of eligible children. Children who do not receive proper medical and dental treatment are much more likely to die before their first birthday or suffer from behavioral or developmental delays. The story of Head Start is even more astonishing: some 96 percent of eligible infants and toddlers are not served by this program because of a lack of funding. The costs in poor school performance are readily apparent as these children grow older, leading to sharply lower graduation rates, as the tables in the appendix clearly show. Perhaps one should not ask whether we can afford these social programs, but rather whether we can afford not to provide them. Finally, there is the insidious problem of juvenile justice – injustice would be more apt, as 4,028 children are arrested every day, that is, one every 21 seconds. Incarceration is extremely destructive. Much more humane alternatives, such as preventative programs in the schools, are suggested. The appendix cites the statistics of this serious social – and racial – ill. Finally, gun violence is claiming more and more children, most of whom do not make national coverage in the press. Statistics for children affected by gun violence are given in the appendix. As a nation, a society, and a people, we can do better. We must do better.